Fifteen Design are proud to announce that they were successful in winning a pitch against other midlands based graphic design companies to create the new exhibition marketing materials for Sygnature Chemical Services. 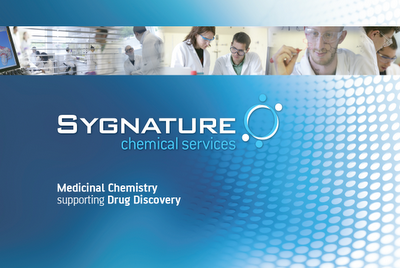 This new approach for Sygnature shows details of their hi-tech labs coupled with their strong and modern brand. This exhibition will be displayed all over the world starting in America at the end of April 2010.